In one of the biggest developments of the community clubs at Meggetland, today will see the launch of the first Boroughmuir Rugby and Community Sports (BR&CSC) Invitation to Tender. BR&CSC has come together to rationalise its procurement of performance and non-performance (leisure) clothing. After just over a year and a half since the idea was first conceived by Justin Tito, Director at Boroughmuir Rugby, the Meggetland clubs have agreed they would like to work with one brand that can provide quality product, high calibre service and work with them to develop a strategy that uses apparel to extend the brands of their associated clubs. "Since we first sat down with the clubs at Meggetland and shared our individual operating models, it became clear very quickly a joint approach could help, not only the larger but smaller clubs at Meggetland. We look forward to see what this opportunity opens for us and will look to help share our experience and learnings with new community groups to bring on board." The anticipation is BR&CSC will derive financial and marketing benefits from economies of scale, a proactive relationship and by affording the chosen supplier the opportunity to associate with each of the Meggetland clubs and brands and generate secondary sales through an online retail operation and extended links into the community. 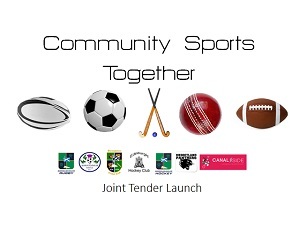 "It has been great to be involved in this process and really reflects the ethos of what community sport hubs are all about- getting clubs to work together for their greater good. The clubs involved in this project are excellent examples of forward thinking, enterprising clubs with strong ties to their community and through coming together on trying to attract a single kit supplier shows a joined up commitment to developing not just their club, but also the others that have a share in the project. Hopefully this will end in success and be an example to other sports clubs, and hubs, illustrating the benefits of taking an inter-club collaborative approach." BR&CSC has never had a dedicated supplier of its community kit. Historically different clubs have purchased kit on an ad hoc basis. It has meant each club has been unable to command the best possible prices and, the fact that the relationships have been purely transactional, has meant no parties have realised the benefits of a more holistic approach. The Meggetland clubs who have come together for this Joint Lobby are, Boroughmuir Hockey, Boroughmuir Thistle, Edinburgh (Cala) Hockey, Boroughmuir Rugby, Meggetland Panthers and Boroughmuir Cricket. Tender for the initial selection will be open till the 4th August with a short list of suppliers being asked to interview with a selection panel. To download a copy of the Invitation to Tender, click here.